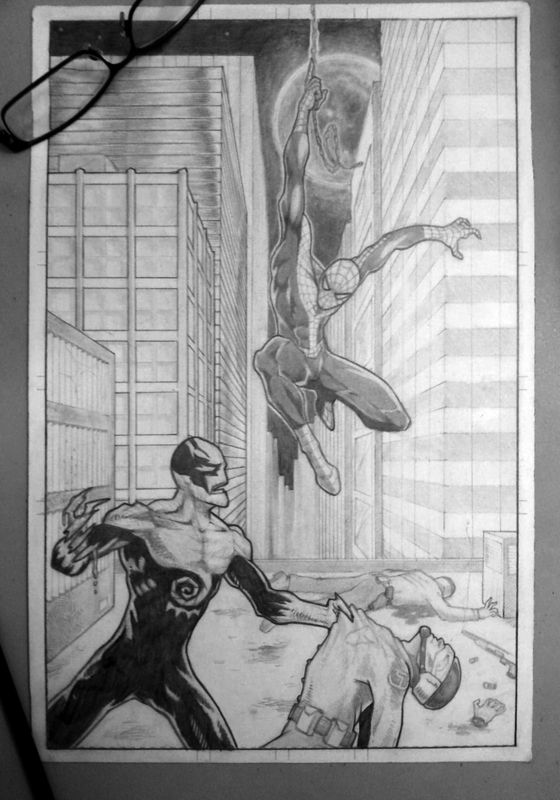 Drawing Spider-Man is a challenge for any artist at any level. The web lines on the costume can give professional comic book artist the fits. 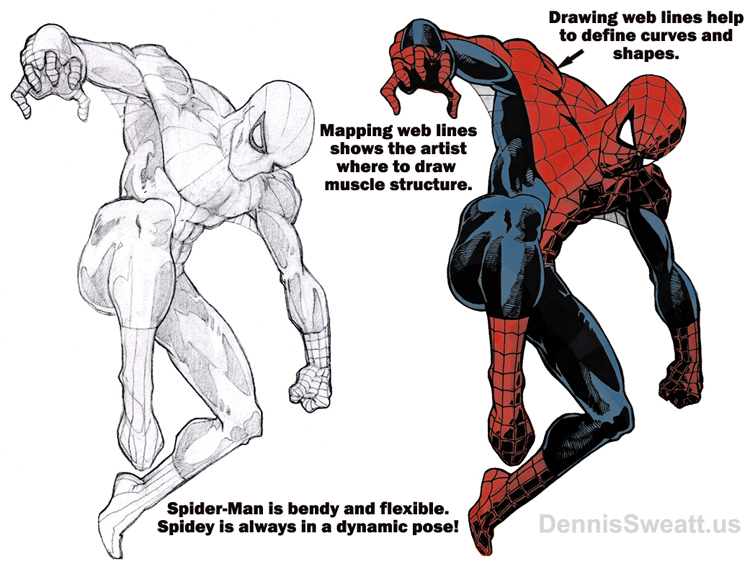 There is an advantage to the artist drawing superheroes like Spidey, in that as a superhero Spider-Man is always in a dynamic position! There are no shortcuts for creating a man that moves like a spider. Take advantage of websites like Pose Maniacs! There are hundreds of dynamic action poses which you can rotate into different positions. If you haven't drawn Spider-Man yet, take the challenge. I find myself dreading to start the sketching but once I begin the urge to finish becomes overwhelming. Feel free to post a link to your Spider-Man art in the comments below.